Imagine this: you’ve helped organise a wonderful workshop on disability history at a local community centre. Everything is going great. There’s a throng of people – mums, dads, children, grandparents – and they are really enthused and curious about the hidden history of disability. The human interest element of the workshop – let’s say the colourful life story of a long forgotten one-legged former miner – has had the desired effect. Folks are intrigued, so intrigued, in fact, they’re asking for tips about where they can find out more about this person’s life. You tell them you got the story from a digitised historic newspaper you read online at the British Newspaper Archive site. ‘Oh, that’s brilliant – you mean we don’t have to travel hundreds of kilometres to the British Library to read it’? ‘No, but you do have to pay a subscription to use the service: twenty pounds to read forty pages’. Mum then turns to her two young children and says: ‘How about it, kids? We were going to go to the new Lego Movie tomorrow, but I could use that money to get a subscription and we could read old newspapers instead’. Suddenly the kids don’t look so enthusiastic anymore. And there, in that moment, you realise that the prospect of this family investigating disability history together has just died. But it doesn’t have to be that way. Excellent free online resources that support public disability history do exist. Disability historians just have to make sure they use them in their public engagement work. 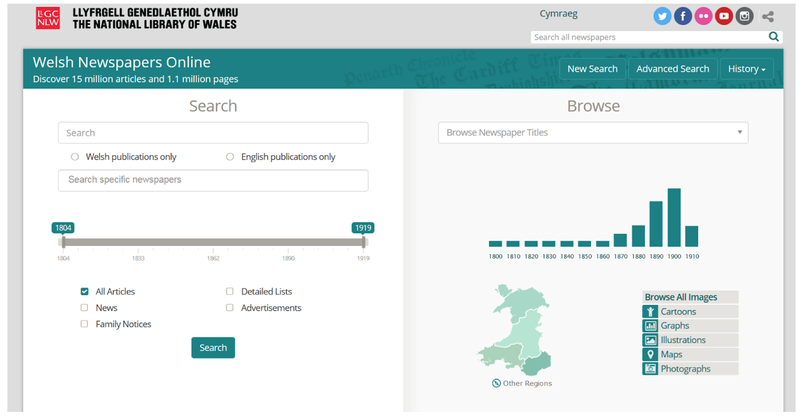 For example, the National Library of Wales’ ‘Welsh Newspapers Online’ (WNO) is a brilliant platform, and one that could definitely help avoid a spine-chilling Lego Movie moment. It actually includes many of the same titles the subscription-charging British Newspaper Archive holds. So let’s return to that one-legged former miner who so interested participants at our imaginary workshop. He’s the only real person in this tale, you see. Billy Davy Richards is his name. In May 1858, the Merthyr Telegraph published an account of the deceased Richards’ life in which it told of how “he became a collier, lost his leg, injured his arm, and then, very wisely, forsook that unpleasant calling” to become a teacher. It’s a rich document, full of many fascinating details about Richards, and how others remembered him, and it raises lots of really interesting questions about disability in the past. What impact did physical impairment have on the working lives of ‘disabled’ people? How did communities view disabled people? Why were some people with mobility impairments like Richards deemed worthy of remembrance in a newspaper while others were not? What language did Victorians use when writing about physical impairment? Free online resources like ‘Welsh Newspapers Online’, then, are an excellent basis for public disability history. 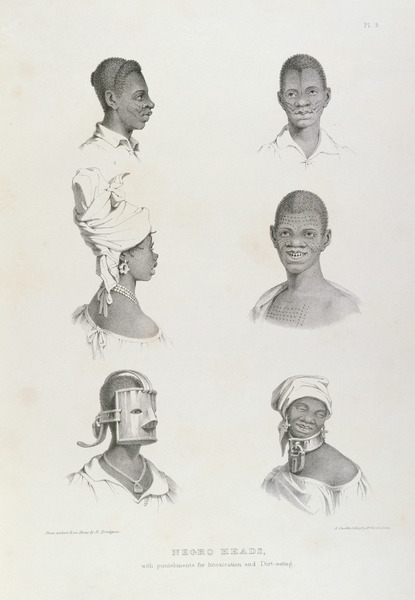 Not only do they have the potential to get the public interested in disability history; they also provide people with the opportunity to explore historical sources about disability themselves, increasing the likelihood of disability history becoming truly public – that is, something anyone can get involved in if they want to, not just professional historians. So, if you find an evocative source in a digital archive that you’re confident will interest people, but is behind a paywall: do a bit of searching online. You may find the same document somewhere else that people won’t have to pay to view. If you can’t: identify another good source that can be seen for free online and incorporate that into your public engagement work instead. The effort could pay huge dividends. Let’s revisit our imaginary scenario. But, this time, let’s tell the enthusiastic mother and her children that they can read the story about the one-legged former miner for free via Welsh Newspapers Online instead of at a commercial site that charges for access. After going home and reading the Merthyr Telegraph story about Richards’ life for themselves (for free! ), perhaps the paper’s reference to Richards’ ‘wooden leg’ catches their attention. ‘Did many people have wooden legs in the past, Mum’? ‘Oh, I don’t know. That’s a good question. Shall we see if we can find any other stories about people who used them’? Mum moves the cursor to the WNO search box and types ‘wooden leg’, hits return, and 2,569 results for the term appear on the screen in under a second. That’s a lot of disability history to explore. And the kids still get to watch their Lego Movie. Daniel Blackie (2017): Unleashing Public Disability History. In: Public Disability History 2 (2017) 17.